Very limited amounts of the Reebok Classics Shaq Attaq “Big Shaqtus” have been produced to be distributed through unusual retail channels. 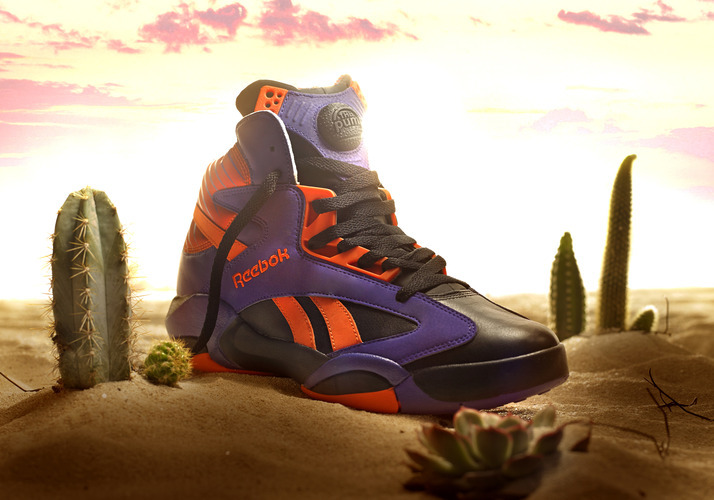 THe Big Shaqtus is a nod to Shaq’s time in Phoenix. A departure from the classic retro colorways of the first two Shaq Attaq releases.